A high-ranking U.S. diplomat doubted Vladimir Putin was unaware of a 2006 plot to murder a former Russian security agent turned dissident with a radioactive substance, recently released State Department documents show. In secret conversations with a French diplomat, Daniel Fried, an assistant secretary of state, said Putin likely knew about the plot to kill Alexander Litvinenko given the Russian leader's attention to detail, the Guardian newspaper of London reported Wednesday evening. The organization WikiLeaks released hundreds of thousands of secret diplomatic cables to the Guardian and several other news outlets, leading to stories such as the Guardian's about what happens behind the scenes in U.S. diplomacy. 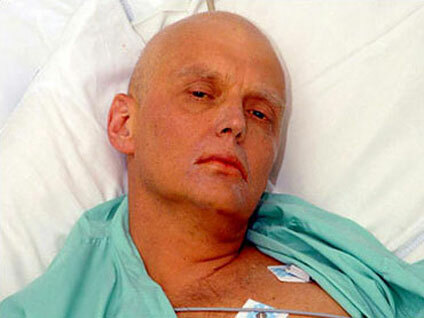 Litvinenko died Nov. 23, 2006, after testing positive for polonium-210, a radioactive substance. In a dramatic death-bed statement, Litvinenko accused Putin of poisoning him, which the Kremlin denied. Two weeks after Litvinenko's death, Fried, assistant secretary of state for European and Eurasian affairs, met with Maurice Gourdault-Montagne, a senior diplomatic adviser to then-French President Jacques Chirac, the Guardian reported. "Fried, noting Putin's attention to detail, questioned whether rogue security elements could operate, in the UK no less, without Putin's knowledge," the leaked cable reads in the Guardian. "Describing the current atmosphere as strange, he described the Russians as increasingly self-confident, to the point of arrogance." Other leaked cables say Dmitry Kovtun, a Russian businessman and ex-KGB agent, left a radioactive trail from Germany to London in the days leading up to a meeting between him and Litvinenko, the Guardian reported.